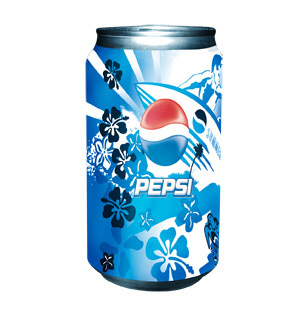 Objective: National contest sponsored by Pepsi to redesign their can. Entries were judged based on originality, creativity, and strengthening of the Pepsi brand. Details: Pepsi’s current main marketing strategy is to reach out to the teen generation by offering them an integrated message of the young lifestyle by depicting themes such as music, sports, and other entertainment. My entry was centered on summer-time subject matter. Specifically, the design is an illustration of iconic Hawaiian images.